Here are two more pieces that I found at the Denver Art Museum that totally fascinated me. They weren't made of fabric but bore a relationship to quilts in a way. 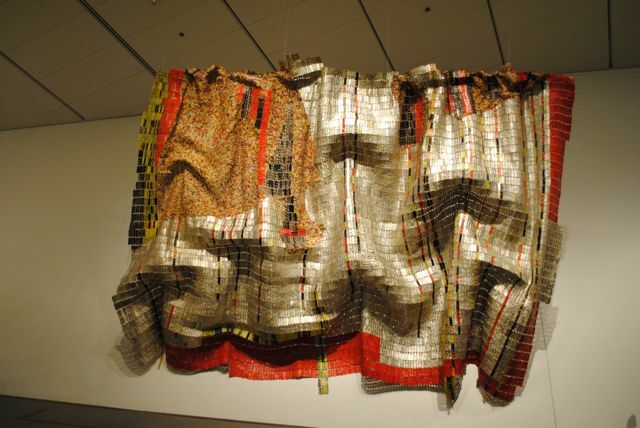 El Anatsui was transforming metal from stiff to supple and using it as a medium for filling huge spaces sensually. He titled the piece, Rain has no father. The other piece is equally fascinating. Here is the view from across the room. 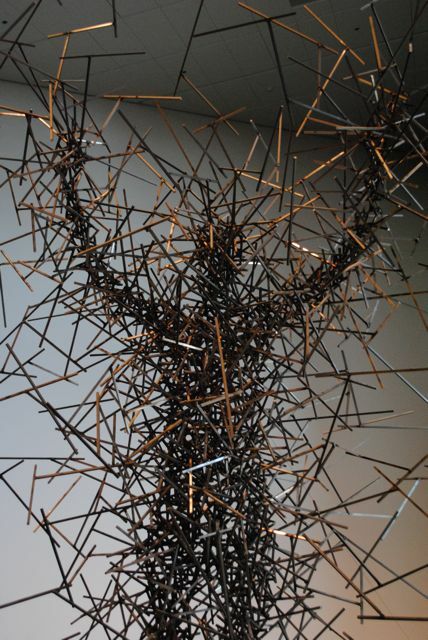 When you get closer, you see that it is a form created by joining rods of metal. 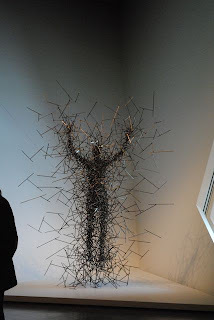 The work is called Quantum Cloud XXXIII and was created by Antony Gormley. The description that accompanied the piece said that Antony uses his own body for a base, striking a pose, and then having his students create a mold. Both designs are powerful. The artists chose their media to make their statements. 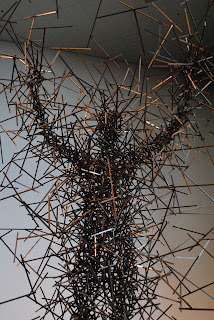 Isn't it fascinating the many ways in which we as people choose to express ourselves!